Mom Books Are Boring – Really? In 2010 On New Years eve my husband and I took our two youngest boys out on a date night, which included a visit to Borders and Books to spend the gift cards they had received for Christmas. We wondered the aisles and carefully made our choices. 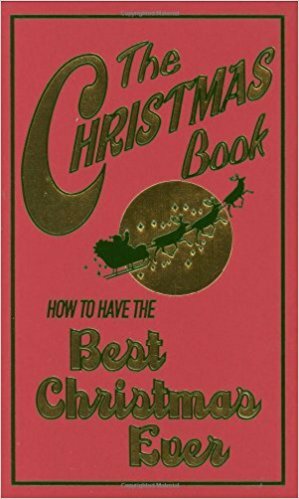 I choose The Christmas Book -How to have the best Christmas ever. This book is filled with fun Christmas celebration ideas from all over the world. I realize Christmas is over but I love traditions and thought I just might discover a few new ones in this book for the future. A few days later back on the home front, Nate walked into the kitchen while I was cooking dinner and announces that my books are boring. I inquired why? Why was my 8 year old reading my book? This could be a potential problem. He might discover that my tricks of the trade are all from books that I’m really not the creative mom he thinks I am. He might also discover that I often get my rules (advice) for parenting him straight out of one of these so called boring books. Time to hide all of my parenting books. However, I think I’m safe because in Nates opinion my MOM books are boring. What is your MUST read boring MOM book?